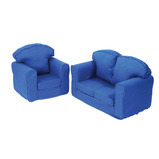 Miniature versions of the adult tub chairs and sofa but perfectly sized for children. 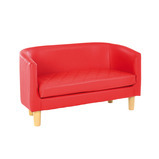 Made from a solid wooden frame and covered with a sumptuous tactile chenille fabric. 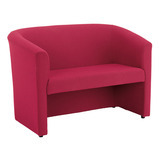 Buy the chair and sofa together and save! 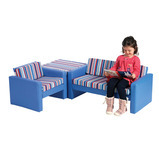 This range of colourful and practical sofa sets are perfect for reading or play. 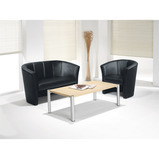 Buy what you see in this picture and save over £190 on buying the items individually! 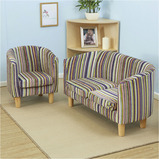 Add one of these stripy tub chairs or sofas to your school to give it a modern funky edge. 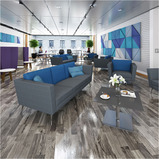 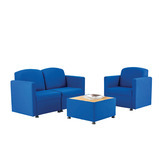 These attractive tub chairs and sofas will enhance any reception, lounge, staff room and communal area or informal meeting area. 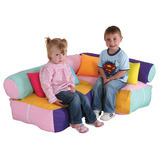 We have a range of colourful and practical sofa sets to furnish your early years setting. 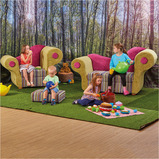 Perfect for reading or play. 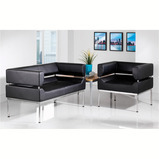 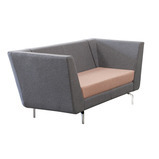 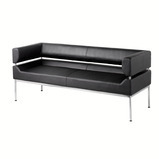 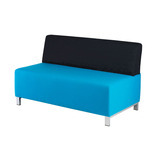 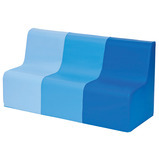 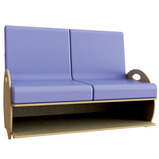 With a choice of 2 colours, this soft seating corner set is composed of a two seater and a three seater sofa. 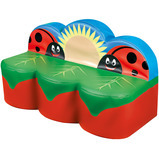 The bean filled seats make it very comfy and the two bolsters act as backrests, supplied complete with six fibre filled scatter cushions. 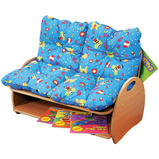 A wonderful piece of furniture built in the style of an adult tub chair but the perfect size for a child. 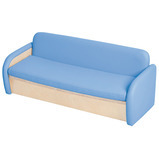 Made in a faux leather and available in a choice of 5 colours; blue, orange, purple, red and yellow. 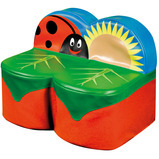 A set of quirky furniture which will create a focal point in any room! 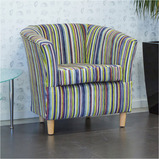 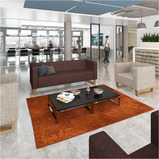 Choose from a sofa, chair or footstool, all covered in a fire retardant sumptuous, tactile chenille material.